The Catholic Charities Diocese of Metuchen YES Program celebrated with the other wonderful grantees at the Lessons Learned Meeting held on Friday September 25th at Robert Wood Johnson Foundation. 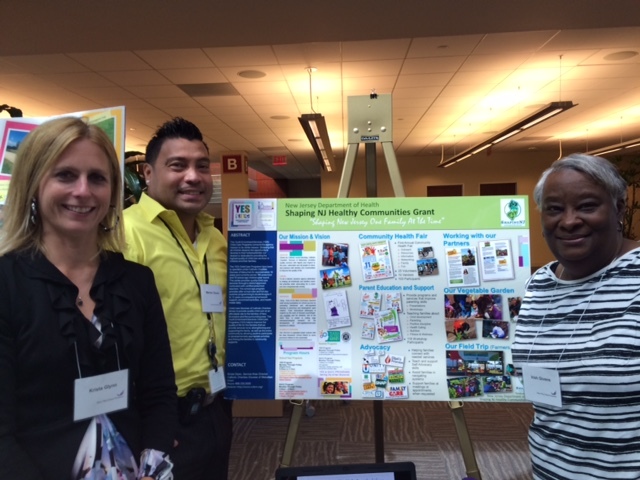 Representing the program was Krista Glynn, Service Area Director Child Care; Irish Givens, Site Supervisor YES School Age Program; and Marlon Osuna, Family Worker for YES Early Learning Center. The day was filled with exciting information and networking with an opportunity to display our successes through the grant. Looking back at the activities, policy changes, and events the program was able to implement is astounding! In addition, the teamwork and collaborations developed will be continuous. On behalf of New Brunswick, we are appreciative to have had this opportunity to provide additional outreach to families in the community and we look forward to continuing our focus towards healthy strong communities for the future! 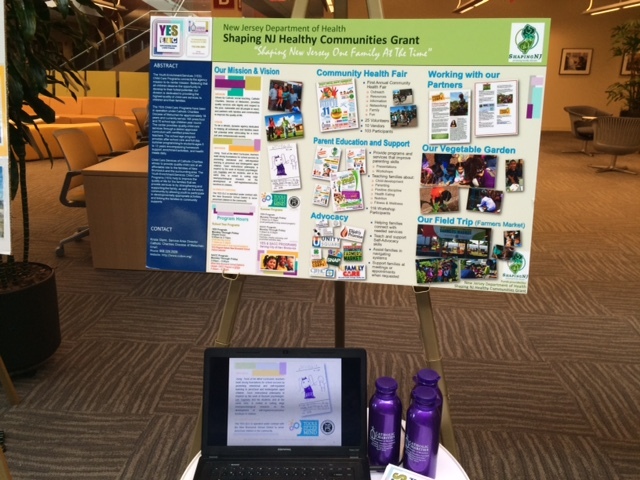 Here some pictures to highlight our display and the day at RWJF. Community Garden: The children loved learning about planting and caring for a garden. We didn’t just give them a fish, we taught them how to fish, how to provide healthy vegetables for themselves and their families. They learned how to utilized what they grew, tried new veggies they never heard of before and shared ways to prepare the garden delights! We plan to continue and grow the garden, there are two other gardens in town which we would like to partner with to expand our reach. Play Streets: We were able to secure two partners for Play Streets, both Loman’s Auto Sales and Services in Woodbridge as well as Hot 97 Radio have become sponsors of Play Streets and have helped us to create a wonderful year end play street event. We do hope to continue this program next year. Farmers Market: Our farmers market was a huge success, providing fresh produce to our community particularly the seniors and those on SNAP have enjoyed having the market here. We plan to close the market at the end of October and do hope that the farmers and patrons will return next year. 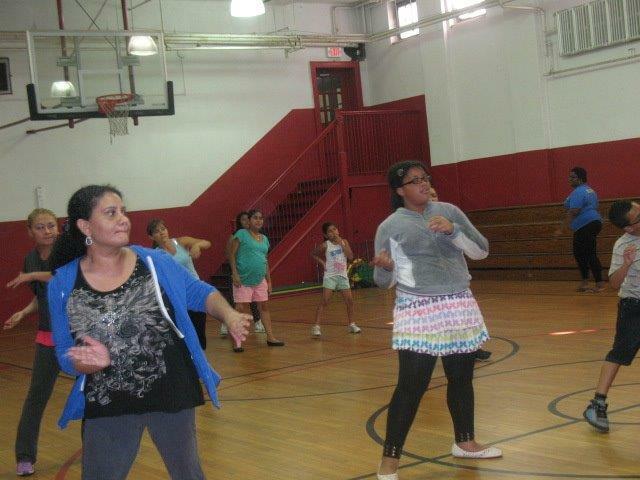 Teen Center: Our teen center will resume this winter to again help get teens off the streets and into the Y to exercise and socialize with their friends. Given the sheer volume of teens that arrive for teen center (500+), we need help! The cost of enough staff to ensure everyone’s safety is of utmost importance. 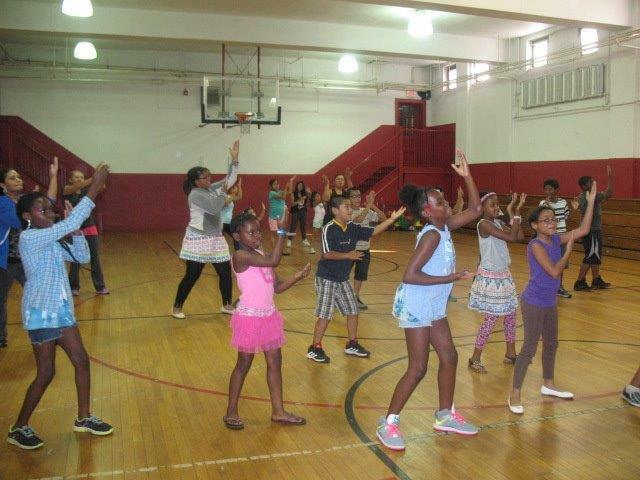 Without the ability to staff the Y, we would not be able to continue the program. The younger teens are excited to try to help us raise funds to keep this vital program going by creating a video for a Crowdfunding campaign. We do hope that we are able to raise enough funds to continue the program until the next grant cycle. PUMPED UP AND READY FOR MORE! I am writing this blog on such a high! Just back from our Shaping Elizabeth Work Group Meeting. I wish I could pass the good vibes that I am feeling through the blog. The conversations, honesty, successes and commitment that were shared were both rewarding and exhilarating. At the meeting the Playstreets Team and Corner Store Team shared their success, challenges, plans for the future and a call for action with the group through pictures, anecdotes, data and stories. Below is a link to lessons learned and future planning for our playstreets initiative. Next year bigger and better is already in planning stages. Healthy Stores is plugging along and 2 organizations signed on to support the project with stores in their area that they have relationships with. Dates were set to make those connections. 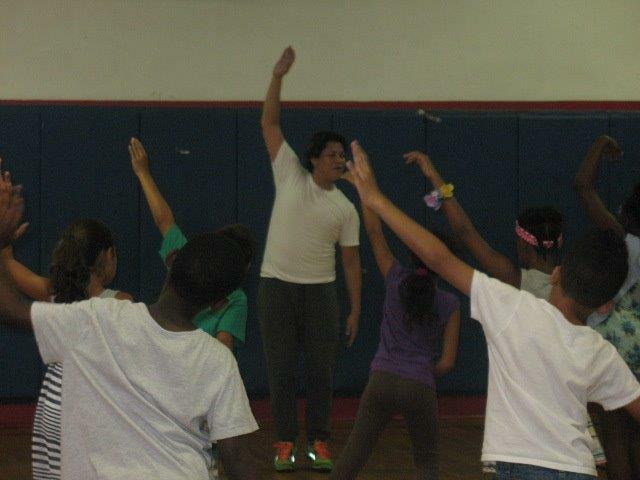 We also shared our nutrition education program “Eat Healthy, Be Active Community Workshops” coming this fall. A nutritionist will be hired next week and organization has already signed up to provide space and most importantly people to attend. This program is funded through The Elizabethtown Healthcare Grant. 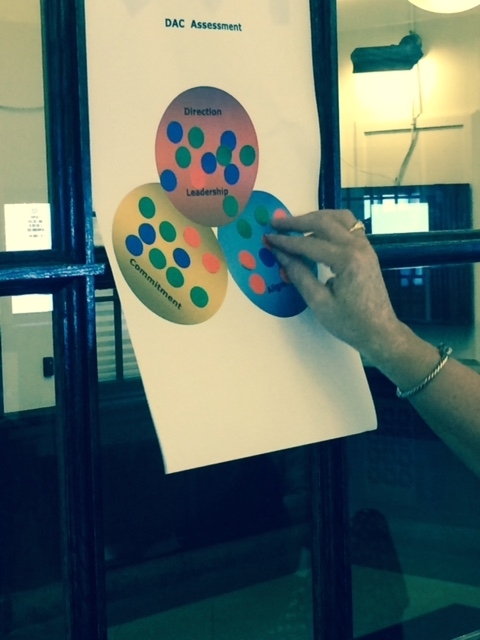 Shaping Elizabeth Partners understanding how to work better together. Impacting over 350 children and adults with 3 play streets. In addition we feel we can use the Playstreets events as a model of engagement and a change agent for the community. Currently we have 1 Corner Store Signed up and 2 more in the works. We also received a grant from the Food Trust to be able to supply nutrition education, taste testings and equipment to committed owners. We shared an exercise from our Robert Wood Johnson Center for Creative Leadership Training on Direction, Commitment and Alignment. The discussion that followed and the information from the team was inspiring and will help set future direction. My final thought comes from one of our participants, I am paraphrasing: She stated that Shaping Elizabeth was her community team of choice to attend – she went on to say – the spirit of collaboration, the support for each other and the meeting organization was valued by her and her organization. What could be better than that! Can You Feel it! Summit Trails Better Than Ever–Take A Hike! Twelve months after we began, the Summit Passaic River Park Trail Project is nearing completion. The trail has been mapped by City Engineer Rick Matias and the user-friendly product placed in a wonderful new kiosk at the trailhead and on the City website under the Environment tab. Volunteers have installed a sturdy bench at the trailhead, marked the trail with blazes and positioned stepping stones for surer footing where a brook interrupts the trail. by B.W. Bosenberg & Co., Landscape Architects, with input from Betty Ann Kelly, the Union County Environmental Specialist. A rain barrel will be set up which the City will fill, enabling volunteers to water the plantings. Finally, the City will furnish and install a bike rack near the gravel parking area on New Providence Avenue. Incredibly, fifty-five individuals donated hundreds of hours to this project, including thirty first-time trail volunteers. Volunteer trail workers have become trail enthusiasts, spreading word about our lovely trails. In fact, the improved and more prominent trails are increasingly popular with Summit residents. 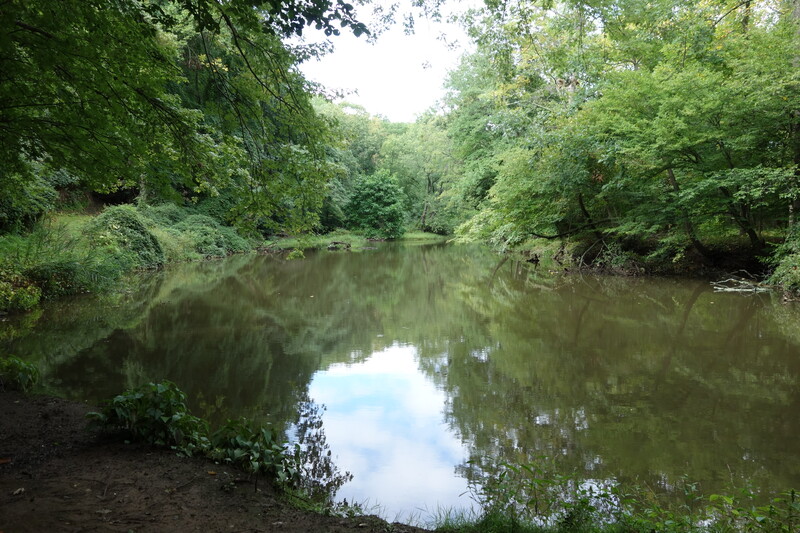 One of our most exciting accomplishments was attracting seventy new hikers to guided trail walks led by Jackie Kondel of the Reeves-Reed Arboretum. 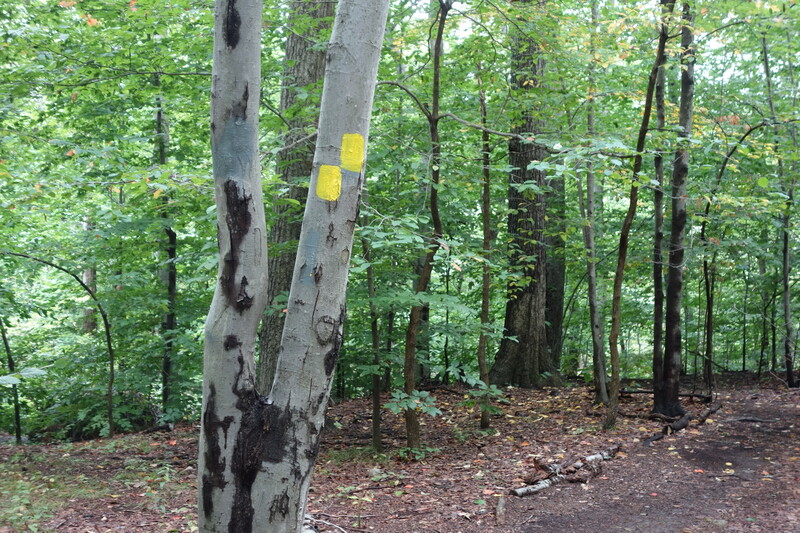 We are working with other community groups to implement guided hikes on the trails to replicate this success. In addition to valuable volunteer labor, the original $10,000 grant from the Overlook Medical Center Healthy Neighborhoods Initiative generated over $4,000 of in-kind donations to our project from the City of Summit, B.W. 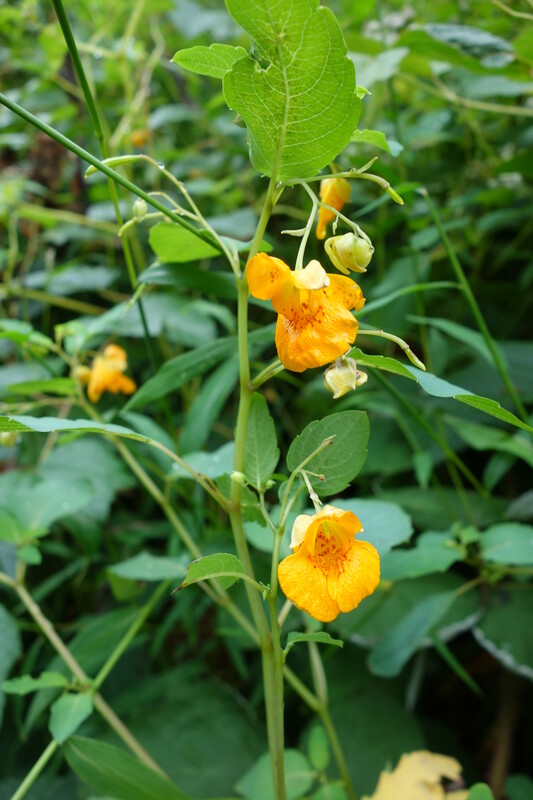 Bosenberg & Co., Union County, Cording Landscape Design, and the Reeves-Reed Arboretum. The project also renewed interest in the trails among local Boy Scouts. Two Summit Scouts are currently at work on more improvements to earn their Eagle Scout awards. These Scouts will be adding another kiosk, stepping stones and more blazes. The Passaic River trail in Summit is better than ever. Go take a hike! The Journey to a Healthy Lifestyle will continue! The YES Program of Catholic Charities, Diocese of Metuchen is wrapping up its last month of the Shaping NJ grant funding. We can’t believe it is that time already! 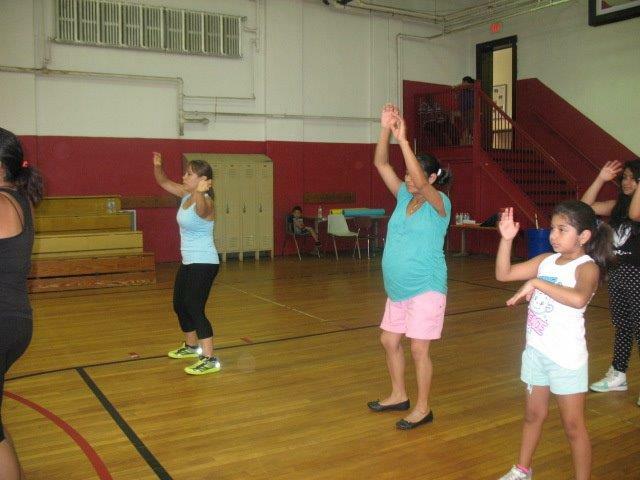 The program and community of New Brunswick has blossomed from the knowledge gained around the importance of health, fitness, and nutrition. The partnerships developed over the past nine months have been outstanding and the families have much to be thankful for. The YES Program of Catholic Charities has been able to provide a wealth of resources and information to the families and children through the many partnerships that we have developed as well as many special activities and events. 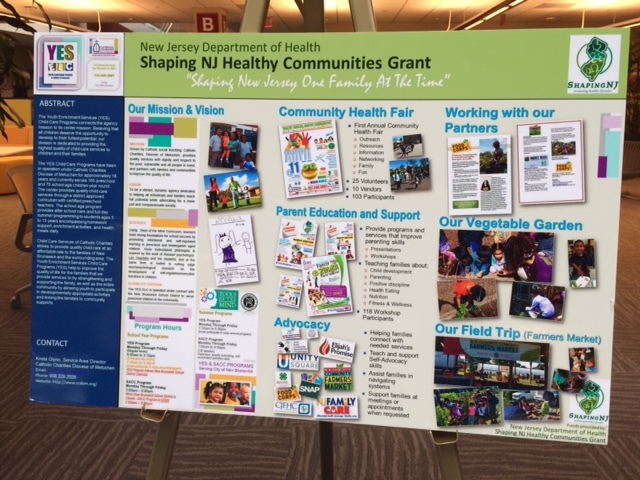 From our Health Fair to our monthly workshops to our trip to the Farmers Market, the families of New Brunswick have gained education and involvement on the importance of a healthy lifestyle. This project has strengthened some of our previous relationships as well as provided the opportunity to connect to new partners. 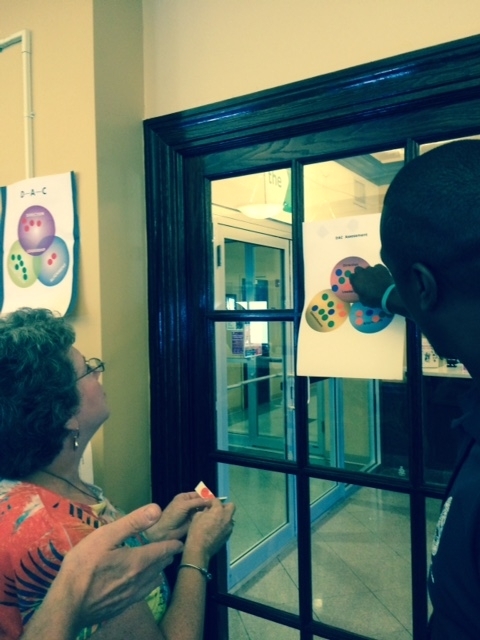 It additionally enhanced the teamwork at the YES Program with staff from all levels. 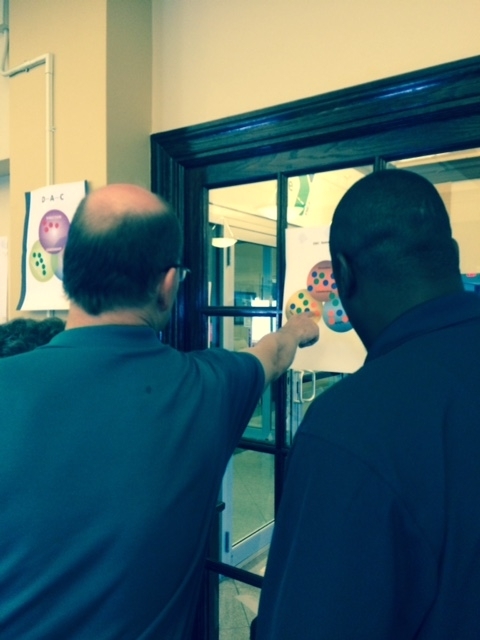 Many of the staff are already thinking about what the program can do with a new funding opportunity! 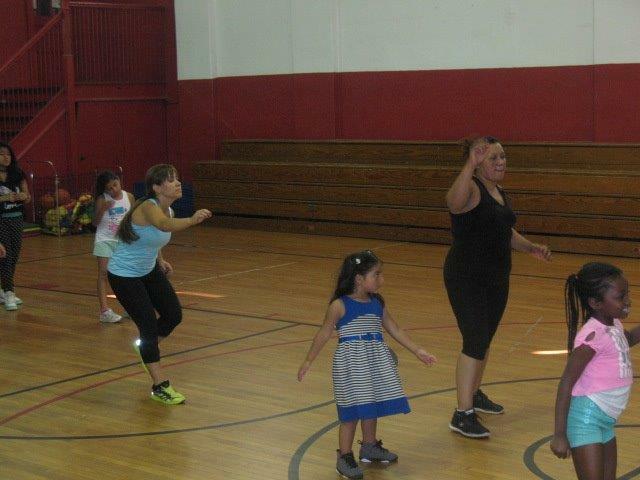 Recent Zumba classes offered to children, staff, and families of New Brunswick are one of the many activities offered as we wrap up the funding and prepare for our presentation at the September grantee meeting. 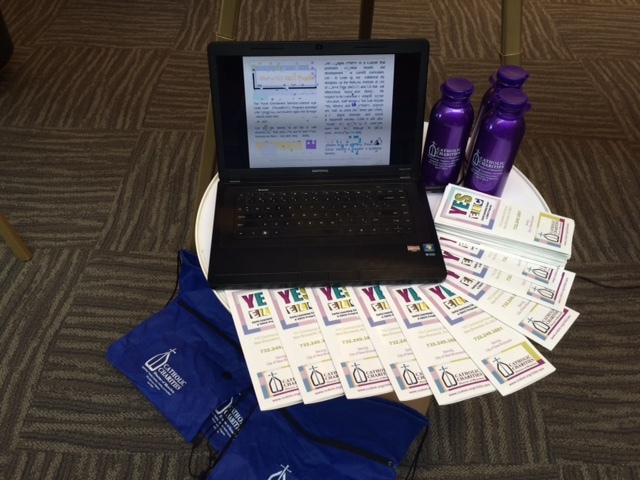 The YES Program of Catholic Charities looks forward to our involvement in the gallery walk to showcase our highlights and experiences on September 25th!